B.C. 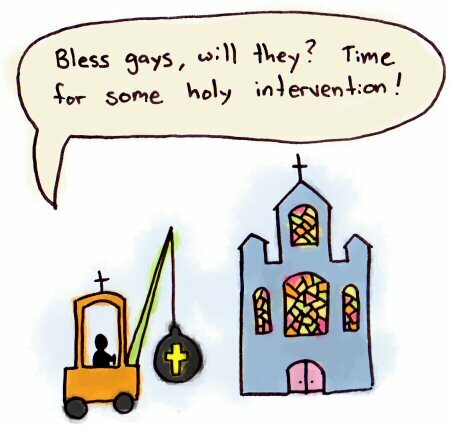 Anglican churches may be forced to shut down if they don’t stop blessing gays. The Anglican Communion, a global collection of Anglican authorities, issued this ultimatum to “errant” churches last week in Tanzania. This is especially unfortunate for the churchgoing community who agrees with their local church over the foreign ultimatum. Under the Anglican structure, church buildings are owned by the Anglican denomination itself, not the individual parishes who pay their mortgage. If a parish is thrown out of the denomination, it must surrender the property, or pay double to purchase it. Throwing an entire community out of their church for blessing gay people like anyone else… That’s totally what Jesus would do, right?